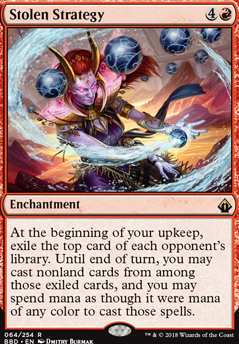 At the beginning of your upkeep, exile the top card of each opponent's library. Until end of turn, you may cast nonland cards from among those exiled cards, and you my spend mana as though it were mana of any colour to cat those spells. This is to playtest Tears, and Strategy is the least impactful card right now. I think I could set up some really strong turns with this card, especially in conjunction with a lot of the other effects I have. Now, let's talk about Smothering Tithe . 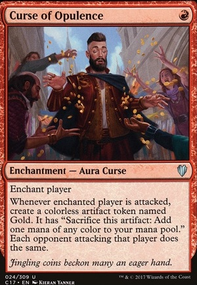 The card ramps like crazy because no one ever pays for it (unless 1v1'ing or 2v1'ing) and has pretty good synergy with Akiri (each treasure is a +1/+0). 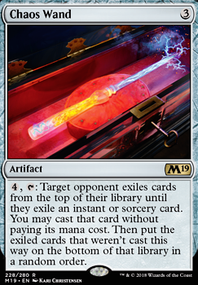 That said, unless you have a reliable way of spending the mana it generates, the card is only okay. 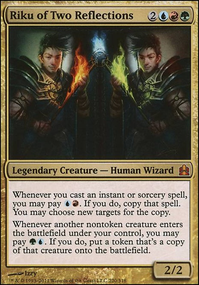 Say, if our commanders had an activated ability like Thrasios, Triton Hero , this card would be very good because it would allow us to use the mana to generate card advantage. However, that's not the case and this makes me very reluctant to play smothering tithe here. 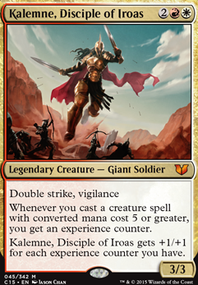 I've no doubt that frenzy takes precedence over smothering tithe in any boros list. Our main issue is card advantage and we need all the help we can get to generate card advantage, not necessarily ramp. However, it also works pretty well with jokulhaups, so that might be something to consider. I guess I'll have to test it at some point. My The Old Grixis Mill has a use their best sub theme. I am big on Grenzo, Havoc Raiser , Stolen Strategy and Etali, Primal Storm for good old fashion theft. MattN7498 Thanks for your comment. The nice part of this deck is that there are numerous cards that can win you the game that wouldn't normally be considered wincons. 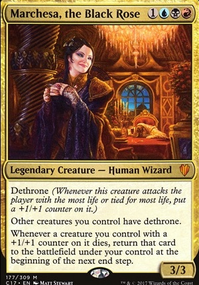 Of course Gisela, Blade of Goldnight equipped with Sunforger gets the job done real quick so does Price of Progress , Rakdos Charm , Deflecting Palm , Bloodchief Ascension , and Master of Cruelties and many others. I've played this deck countless times now and I've never worried about closing out games - the later the game goes the more confident that I have a lock on it.